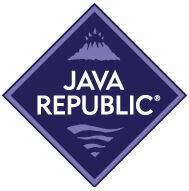 Java Republic is a, proudly independent, Irish owned Company who has successfully taken advantage of a gap in the premium coffee and tea market in Ireland. With a passion for fresh, hand roasted coffee and for setting the industry standard for ethics in coffee and tea Java Republic have successfully challenged the hot beverage industry norms in Ireland. Our company values can be expressed in three words Passion, Expertise and Conscientiousness in everything we do. We chose partners that have similar values and we are delighted to have been working with CustomsMatters who demonstrate their passion, expertise and conscientiousness on a daily basis. CustomsMatters provide us with an excellent customs clearance and brokerage solution that has helped us achieve efficiencies. I would have no hesitation in recommending CustomsMatters for all your customs and trade compliance requirements. “AIDAN O’SHAUGHNESSY AND SONS LIMITED is the leading supplier of quality pipes, fittings and accessories to the agri sector and industrials building sectors. Our business requires a speedy and efficient supply chain. We chose CustomsMatters myCustoms software as it allows us to control costs and have greater visibility of all aspects of our supply chain including the essential area of Customs Clearance. myCustoms software is fast intuitive and with a rules engine at its core ensures customs compliance. CustomsMatters Helpdesk is excellent and I would have no hesitation in recommending CustomsMatters to any Importer or Exporter who wishes to control their costs and have greater visibility on their supply chain. Stafford Bonded Stores are experts in the Importing, Exporting, Storage and National Distribution of under bond alcohol and tobacco products. Our business is about speed accuracy and efficiency CustomsMatters myCustoms EMCS system gives us all this with enhanced compliance. We are a very satisfied user and have always found the service and helpdesk to be equally efficient as the system, I would have no hesitation in recommending CustomsMatters. Waters has always prided itself on innovation and since 1958 Waters Corporation has been in the business of making innovative analytical instruments that assist scientists in reaching their scientific goals. Their myCustoms software allows us full control of our Customs process whilst ensuring an unparalleled degree of compliance with excellent reporting functionality. I would have no hesitation in recommending CustomsMatters software and their service.